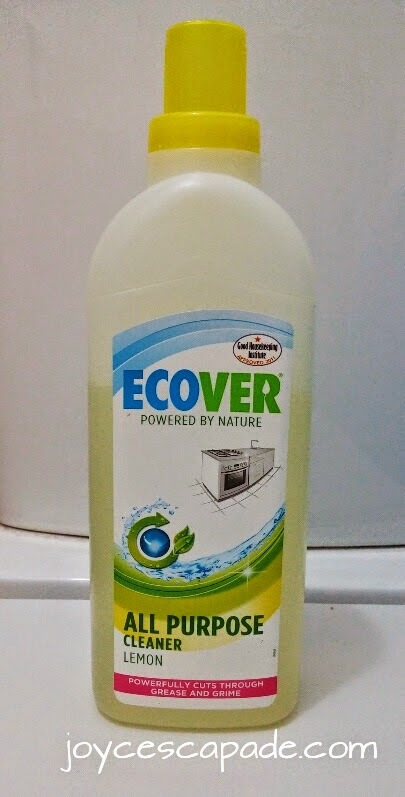 Last month, I was introduced to ECOVER, an environmentally friendly household cleaning products, just in time to spring-clean my house before Christmas. Now, let me tell you what they are. ECOVER household cleaning products - since 1980 - are made of natural plants and minerals which are non-toxic and free of harmful chemicals. SAFER: Rejoice if you have sensitive me like me. ECOVER products are tested for sensitive skin. They are the pioneers of eco-surfactants that have been tested to provide powerful cleaning with complete biodegradability and and non-toxic. This means, ECOVER products are safer for you and your family and kinder to Mother Nature. GREENER: ECOVER makes effective, no nasties cleaners from plant-based and mineral ingredients, which make them superbly ecological and sustainable. The green roof of ECOVER's ecological factory is over 6000m² and is covered with green plants, creating a safe habitat for birds and insects and proves to be great insulation throughout the year. CLEVERER: This is one point that attracts me very much. ECOVER uses alternative packaging solution to help reduce wastage and pollution issue. All ECOVER bottles are made from... guess what? Sugarcane! By harnessing the power of nature and applying a little clever science, ECOVER has implemented an innovative new PolyEthylene (PE) - a green plastic called Plant-astic that's 100% renewable, reusable and recyclable! 100% Plant-astic, how about that? How does ECOVER All Purpose Cleaner work for you? How does ECOVER All Purpose Cleaner work for the environment? How does ECOVER Triple Action Toilet Cleaner works for you? 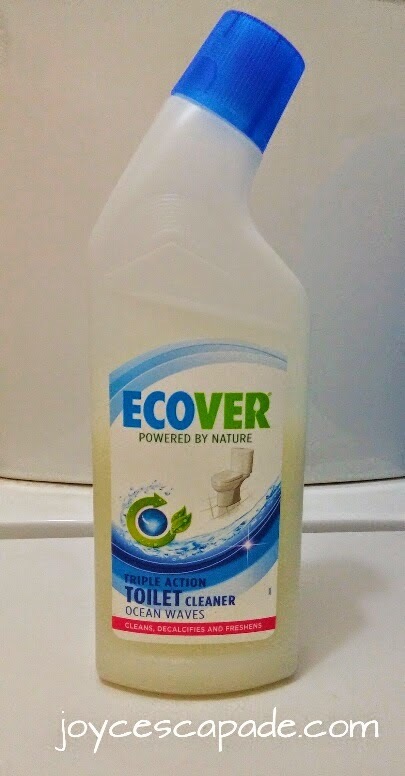 How does ECOVER Triple Action Toilet Cleaner works for environment? 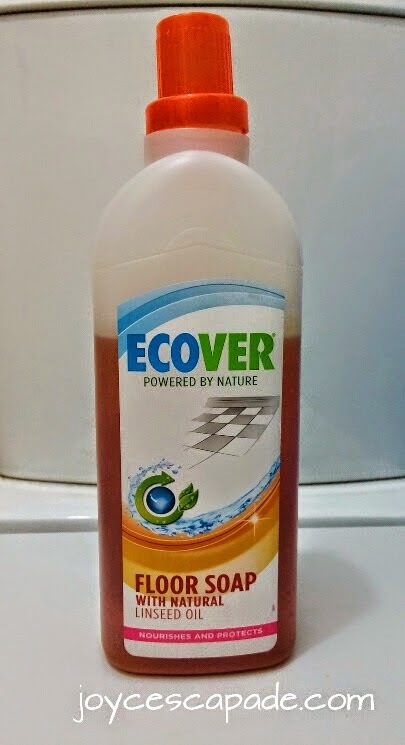 How does ECOVER Floor Soap with Natural Linseed Oil works for you? How does ECOVER Floor Soap with Natural Linseed Oil works for the environment? Now, how can you join this giveaway? These products are highly recommended for people with allergies or sensitive skin. All you need to do is leave a comment in the comments section of this blog post. Please note that comments moderation mode is enabled. Please leave your email address as well so that I can contact you if you are one of the lucky winners. Giveaway ends 18 January 2015, 11:59pm. THREE (3) winners will be chosen, one for each product. Winners will be notified via email. After 48 hours, if any one of the three winners has not replied, a new winner will be chosen. I want to try ECOVER because I want to be environmental friendly when I clean my house. Thank you!